What shoe should I use for tennis? You have decided to play tennis. But what shoe is most appropriate for enhancing performance, maintaining safety, and ensuring maximum comfort? You may feel inclined to wear your everyday sneakers or running shoes. If you feel comfortable doing so, and you remain stable and safe, this may be an acceptable option. However, there are distinct differences that make tennis shoes a more appropriate option for most people. Tennis shoes and running shoes are designed for their respective sport, so they have specific features that distinguish between the two. Running shoes are designed with more cushion to absorb the shock from the repetitive heel-to-toe movements. Both mens tennis shoes and womens tennis shoes do not have as much cushioning because they are designed to remain durable and stable through quick lateral and side-to-side movements performed while on tennis courts. They are also less committed to minimizing weight like running shoes, but instead they trade off for an increased focus on stability and durability. If you decide that running shoes do not offer the same support and comfort while playing tennis, you still have many choices to make in determining the best tennis shoe for your needs. Tennis shoes vary depending on the type of tennis courts you play on. 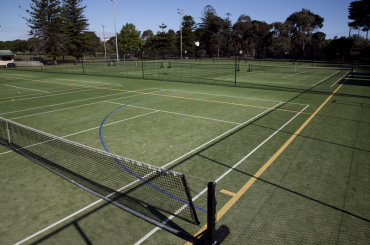 Court material varies from paved and painted asphalt courts, to clay courts, to grass courts. Determining which type of court you play on most often will help determine which style of tennis shoe is most appropriate. 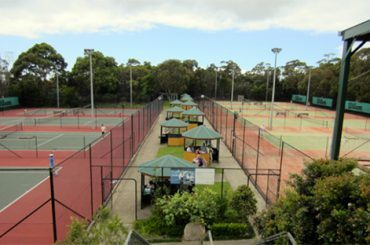 There are different tennis court surfaces when you make bookings at your local tennis clubs. 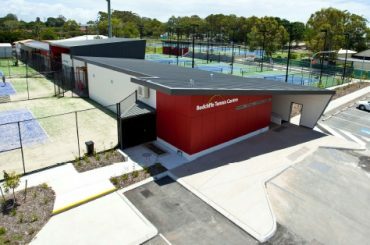 Contact your nearest tennis club to find out the type of surface is available. Hard courts are made of asphalt that has been painted over. Hard court shoes are designed to increase traction of the outsole, the layer of the sole that comes into contact with the ground. 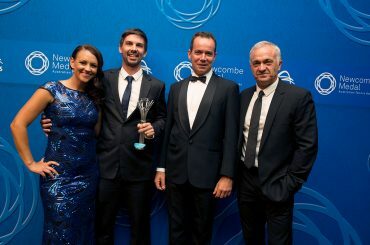 They are also made very durable to withstand the wear and tear from playing on hard courts. The next layer of the sole, the midsole, is designed with some cushioning to help absorb the blow from hard courts. Clay courts, as the name suggests, are made entirely of clay. The pattern on the outsole of clay shoes is designed to maneuver on the slippery clay without it catching on the shoe. Clay court shoes also offer more lateral support in the upper portion of the shoe to compensate for the sliding that is common on clay courts. They also typically do not have mesh in this upper portion to prevent clay from entering the shoe. Grass courts also reveal the nature of their courts in the name. Grass court shoes have rubber treads or cleats to grip into grass surfaces. The specialized nature of the shoe does not translate well into use on other courts. 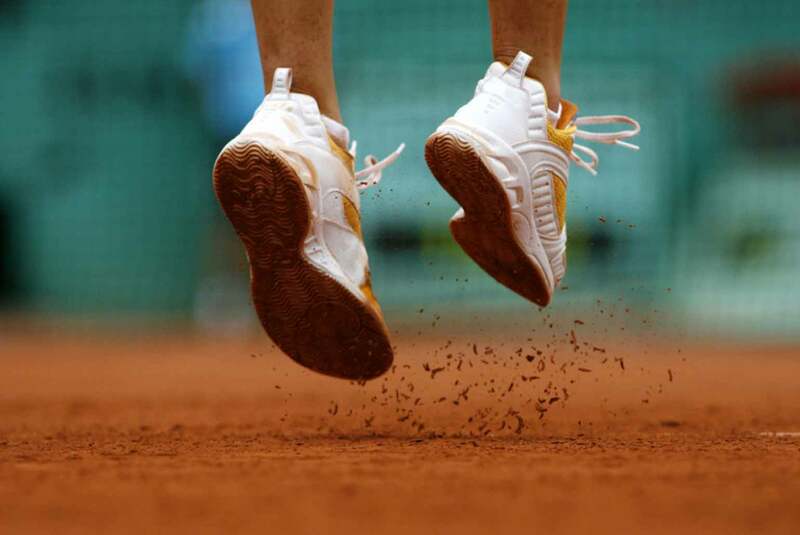 However, hard court shoes are very versatile in their use and can be used on any of the three court types described, albeit with less support and stability on clay and grass courts. Whether purchasing womens tennis shoes or mens tennis shoes, comfort and stability are key.